Undefeated super middleweight contender Ronald Ellis returns to action for the 1st time since his controversial draw with Junior Younan when he takes on upset specialist Taneal Goyco this Friday night at The Fillmore in Philadelphia. Ellis of Lynn, Massachusetts and now is training out of Los Angeles, has been working hard since the February 2nd fight with Younan. In that bout Ellis forced the action, and most ringside observers thought that Ellis should have squeaked out the decision. Friday night, Ellis will look to notch his 15th victory against two draws. “Everything is good. I got right back in the gym after the last fight. When I watched the fight again, I could have done a little bit bit more, but he ran all night. Hopefully Goyco will stand and fight on Friday night,” said Ellis. Ellis believes by the end of the year, that he will be right in the mix of the hot super middleweight division. The 28 year-old is looking forward to performing in front of the knowledgeable fight fans in Philadelphia. “Ronald is close to a big fight. I am looking to step him back up in the early part of the Summer. I feel by the end of the year, he will be in a major fight in the super middleweight division. 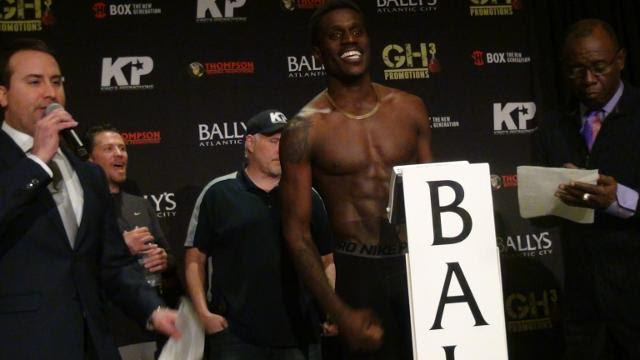 I expect him to look great on Friday night, and we are excited to watch him perform on Friday night,” said GH3 Promotions CEO, Vito Mielnicki.